The Wine Notes blogging team is made up of a variety of experts in the wine profession. Most are Wine.com staff members, while guest authors include various industry personalities. Our main goal is first and foremost education. However, we also alert you to the latest & hottest wines on the market, share advice on event planning, and how to pair a wine with ease. Dig in as we share the world of wine at your fingertips! 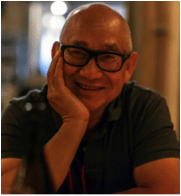 Wilfred Wong is Chief Storyteller at Wine.com. A San Francisco native and resident, Wilfred worked at BevMo! for 19 years, where he was responsible for the overall product content for the chain, as well as writer of the company’s monthly newsletters. He writes regular columns in several industry magazines and is a frequent judge at wine competitions. As Chief Storyteller, Wilfred shares his passion for food, wine and photography, telling the story behind the wine. Gwendolyn Osborn is the Director of Education and Content for Wine.com. She’s a wine educator at heart, hoping her enthusiasm for wine will increase peoples’ enjoyment of the beverage. Prior to her current position at Wine.com, she opened and ran the Wine.com Berkeley retail store, and was the Education Coordinator for the Wine Spectator School based in New York. In 2009, she received the Diploma in Wine & Spirits through the London-based WSET. She believes wine knowledge is a never-ending pursuit – the more you know, the more you learn you don’t know and the more you want to taste!